The word Sufi is derived from the word suf, meaning “wool”. When a little Persian sect at the end of the eighth century A.D. broke away from the orthodox Muslim religion, and struck out on an independent path, they ignored costly robes and worldly ostentation, and clad themselves in a white wool garment. Hence they were known as “wool wearers,” or Sufis. 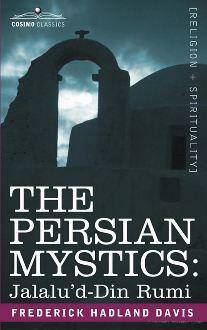 This books about Sufism form 1907 aims at presenting the teachings of Rumi for the western readers. Thank you very much for allowing your visitors to download these wonderful books. I only know Attar’s work from the The Conference of the Birds which I first read as a teenager many years ago. In fact, at that time I read as much as I could find of the great mystics and was fortunate to have a large university library in which to make marvelous discoveries. i am highly grateful for this great exposure to your library. May the Almighty Allah rewards Abundantly. Jazakumllahu Khairan.